Those holding unchecked power often seek to hide their cruelty behind euphemisms. In China, classic examples range from “land reform” to the “Cultural Revolution.” You can’t easily see the cruelty from the surface of such words. Expressions like “the three year natural disaster,” used by the Communist Party to describe the Great Leap Forward of 1958 to 1961 in which tens of millions died, or the “6/4 counterrevolutionary riot,” the description of the Tiananmen Democracy movement, are shameless acts of misrepresenting history and reversing right and wrong. Do “Legal Education Centers” really have anything to do with law or education? No. They are Black Jails for arbitrarily detaining and tormenting politically sensitive groups around the country. “Residential Surveillance at a Designated Location” (RSDL) is the latest euphemism. Tyranny is not only reflected in murder, evil laws, and crackdowns; it is reflected even more in the minor details. This book is a collection of details, vividly reflecting China’s cruelty. Looking into its legislative history, RSDL was first envisioned in the 1997 Criminal Procedure Law (CPL), which dictated a special form of Residential Surveillance to be applied to those suspects without a fixed residence. However, with police having near unlimited powers, it is little wonder that the regulation has been used for repression. The most famous democracy advocate in China, the deceased Nobel Peace Prize laureate, Liu Xiaobo, was placed under Residential Surveillance after he was taken in December 2008. His crime had been signing “Charter 08,” a petition calling for democracy and political liberalization in China. Obviously, Liu Xiaobo did not belong to the category of “suspects without fixed residence” and should have been allowed to serve his Residential Surveillance with his family at his home. His lawyer should have been allowed to visit him anytime. Instead, Liu was effectively disappeared during his seven months of Residential Surveillance, before being sentenced in a mockery of a trial to 11 years in prison for inciting subversion of state power. On 13 July 2017, Liu Xiaobo died of liver cancer, likely treatable had he not been a prisoner of the state. His wife, Liu Xia, has also been disappeared at times, denied contact with the outside world with no legal basis or justification. Hua Ze’s book, In the Shadow of the Rising Dragon, published in 2013, records the experiences of 47 activists caught up during the Jasmine Revolution. I was one of them. After I was kidnapped, I was detained in secret for 70 days. I was told that I was being placed under Residential Surveillance. No one ever told me their name, department, or position. Nobody ever showed me a work permit, search warrant, or any legal documents. I suffered. During this time, I was beaten, deprived of sleep, forced to maintain stress positions, forced to wear handcuffs for 24 hours a day for 36 days, threatened, abused, forced to write a confession, and otherwise ill-treated. Even now, years later, it is hard to put it into words. RSDL is classified as a non-custodial coercive measure, but in reality it has not only became a system for prolonged, pre-trial detention outside a formal, legal location, but has also become a more severe, more terrible, coercive measure than normal criminal detention. RSDL is not limited by detention center regulations, nor any real supervision at all. The chances of torture are greatly increased; in fact, torture has become rampant under RSDL. The authorities must find RSDL to be a very convenient and effective way for dealing with rights defenders, judging by its indiscriminate use since the CPL was revised in 2012. The police can decide for themselves if someone is to be placed in RSDL, which means the police decide who is to be disappeared. It is little wonder that this was one of the most controversial articles during legislative reform, leading many commentators, myself included, to call it the “Jasmine Article.” This is because it appeared to legalize enforced disappearances, which had become more common during the Jasmine Revolution crackdown. The CPL stipulates that RSDL “must not be enforced in a detention center or special case-handling area;” but in reality, all RSDL is enforced at special case-handling areas run by the Public or State Security Bureaus, or it is carried out at euphemistically named “training centers,” “prevention bases,” “anti-corruption education bases,” or sometimes even hotels that have been specially converted into secret detention facilities known as Black Jails. The law permits for exceptions where family members don’t even need to be informed, and allows the state to deny access to a lawyer. These exceptions, which have now become the norm, have turned RSDL into a de facto enforced disappearance, exactly what the RSDL system seeks to achieve. During suppression of the “Jasmine Revolution” in 2011 and the “709 Crackdown” starting in 2015,[v] terrifying enforced disappearances became common experiences within the human rights community. The most serious example is lawyer Wang Quanzhang. While I am writing this, Wang’s fate and whereabouts have remained uncertain for over two years. The cruelty and brutality of RSDL is clearly visible for the world to see. In 2010, the Chinese government refused to sign the International Convention for the Protection of All Persons from Enforced Disappearance. This was an irresponsible act but far from surprising. Enforced disappearances are nothing new in China. High-profile examples include the 17 May 1995 disappearance of the then six-year-old Panchen Lama, who had been confirmed by the Dalai Lama, and the widespread disappearance of Uyghurs following the July 2009 Urumqi riots. Still, the legalization of enforced disappearances in the CPL is shameful. According to the original intention of the law, Residential Surveillance should only be a monitoring location. It is not to be used for interrogation or custodial purposes. However, the facilities used for RSDL have not only become specialized interrogation facilities, they have become even harsher than prisons and detention centers. These custom-built prisons, spread across China, which are not allowed to be called prisons, have become terrifying torture centers where all manner of abuse is common: long periods of sleep deprivation, beatings, electrocution, forcibly handcuffed and shackled, confined to tiger stools and dangling chairs for long and painful periods, subjected to fumigation of the eyes by smoke, subjected to stress positions, denial of food and water, denied hygiene, extensive and continuous interrogation sessions, threats of violence, or threats to family. Everyone placed in RSDL is kept in solitary confinement. Torture during many disappearances is well documented in a number of high profile cases. The accounts have sometimes been too much for people to bear reading about. Many rights defenders related to the 709 Crackdown, such as Li Heping, Li Chunfu, Xie Yanyi, Li Shuyun, and Gou Hongguo, have explained how they were forcibly fed unidentified medicine, leading to different painful symptoms. Until now, most of what we know about RSDL has come from scattered reports or open letters from family members. This book is the first to present a fuller picture of the suffering imposed under RSDL. I can make you disappear for years. Even your wife and daughter won’t know where you are. It wasn’t until the third day that they gave me two small steamed buns and a few green vegetables. The size of the two buns together was still smaller than the palm of my hand. I felt that I was going to lose consciousness. I felt dizzy all the time because of lack of food and sleep, but I was still expected to submit to being interrogated. If I started to wobble in the chair they would make horrifying sounds to snap me awake. I myself had experiences such as these during my detention. I tried to distract myself with memories, talked to myself, outlined literature and found other ways to keep from going crazy, since I was deprived of all forms of communication. Once I accidently saw a Party newspaper. I was very excited. Finally, I could read some text! When they played a propaganda film to brainwash me, I was happy just to hear the background music. One is being subjected to forced confession. Several individuals in this book describe with previously undisclosed details the experiences of delivering a forced confession. Those who have stepped onto the road of human rights defense face enormous pressure, living with threats to their family and heavy prison sentences. Many have been forced to confess. The authorities have used these confession videos to broadcast propaganda on state television, to confuse public opinion, to crack down on the will of resistance and dehumanize those who resist, and to turn rights defender against rights defender. It is used to split supporters. This may be the hardest part for China’s many political prisoners. The authorities don’t always achieve their purpose but they more or less always have an impact. Many people have suffered the pain of misunderstanding and have grown distant from others. Many have quit rights defense because they were ashamed of themselves. Secondly, those detained in secret have almost all experienced the indescribable suffering of having their families threatened or persecuted. In general, those who have chosen to become rights defenders under this kind of dictatorship are already aware of the risks and are prepared. When we are “invited for tea” [a euphemism used to describe a police summons], placed under house arrest, detained or tortured, nothing can stop our fighting spirit. But for the authorities to achieve the greatest deterrence, all they need to do is apply the threat of pain to our family members. This has become a common tactic used by the authorities, and used with growing expertise. As with my own experience, the hardest thing for activists fighting for freedom is how to balance conflict between family and social responsibilities. People compromise, yield, fall silent, or give up after their family has been threatened or attacked. The Chinese Communist Party understands this clearly. I have written about the Party’s assault against the family members of rights defenders before. The publication of this book has great importance and meaning: to reveal the truth, record the misery, and provide evidence of guilt. It is an indispensable signpost on the road to justice. [i] Inspired by the so-called Jasmine Revolution in Tunisia, and the broader Arab Spring movement, starting 20 February 2011, activists in China began calling for public assemblies in cities across the country to advocate for reform. After initially being met with overwhelming violence and repression, organizers started calling for people to assemble and “take strolls.” Some 35 activists were detained, five of whom were charged with endangering state security. Many human rights defenders detained during this time, including Teng Biao, Tang Jitian, and Liu Shihui, were subjected to lengthy disappearances in which they were tortured. In many ways, the repressive extrajudicial tactics employed during this time can be seen as part of the inspiration for the current RSDL system. [ii] Wang, Yaqiu. “What You Need to Know About China’s ‘Residential Surveillance at a Designated Place’.” China Change. 2 August 2015. https://chinachange.org/2015/08/02/what-you-need-to-know-about-chinas-residential-surveillance-at-a-designated-place/. [v] The 709 Crackdown was a nationwide strike against both individual rights defense lawyers and the larger rights defense movement. Also known as the “war on lawyers.” The name, 709, comes from the date when the first lawyer was detained, Wang Yu, on 9 July 2015. As part of the crackdown, over a period of months, some 300 lawyers were targeted, many of whom were placed in Residential Surveillance at a Designated Location. Some were sentenced to lengthy prison terms, such as rights defender Hu Shigen. In August 2016 he was given more than seven years in prison for subversion of state power; others were released following lengthy periods of incommunicado detention, torture, and forced confessions, such as lawyer Xie Yang. By many accounts, it has been the largest and most brutal crackdown on civil society since the 1989 Pro-Democracy Movement ended in the Tiananmen Square Massacre. (Li Wenzu: CCP Ministry of Public Security give my husband Wang Quanzhang back—Where is Wang Quanzhang?) China Citizens Movement. 16 May 2017. https://xgmyd.com/archives/29811. 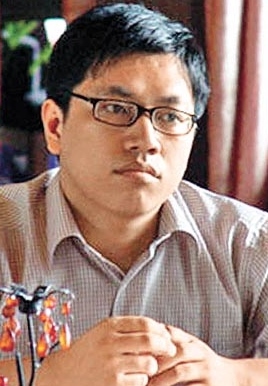 Dr Teng Biao (滕彪) is a human rights lawyer, formerly a lecturer at the China University of Politics and Law, and currently a visiting scholar at the US-Asia Law Institute, New York University. He co-founded two human rights NGOs in Beijing—the Open Constitution Initiative and China Against the Death Penalty, in 2003 and 2010 respectively. Because of his human rights work, he was abducted and detained by Chinese secret police in 2008 and 2011. The Confessions of a Reactionary, Teng Biao, August 27, 2013. Politics of the Death Penalty in China, Teng Biao, January 16, 2014. That government, powerful as it was, didn’t scare me into doing anything unjust. Congratulations for having been put in jail. I have been worrying that, if they leave you free after arresting so many of your friends in the New Citizens’ Movement, how viciously they would have put you in an unjust position. Now it looks like the government is helping you out. Along with dozens of other participants in the Movement, you are also wearing the prison vest and paying the price that’s sure to come. I know you have long prepared for this and are at ease with it, but still, I’m saddened. Ten years ago, we met on the campus of Peking University. We collaborated and we founded “Sunshine Constitutionalism” that later became Gong Meng (the Open Constitution Initiative, 公盟). We rented an apartment together where you had a room and I had a room. During the day, we engaged in activities, and in the evenings we drank bear together and talked about our social ideals. We have aged over the last ten years. I am tired even though my ideals remain. We both are still on the road, but you, tirelessly, have gone much farther. I am shrewder than you, and you are more valiant than I am. Now that you are in jail, this very thought makes me ashamed of myself. Over beers ten years ago, you talked about how lonely you felt on the campus of Peking University. Before you got there, you had thought it was a place filled with idealists, but once there, you couldn’t find any. You were disappointed. One day it occurred to me, “Hey, why look elsewhere?” You yourself were the idealist. Ten years have gone by, you are persuading people to be new citizens in this Sodom, and your ideals have stirred people far and wide. People in Sodom are vulgar, greedy and ruthless. You walk among them urging them not to submit to the rulers of the city-state without thinking, not to treat each other cruelly. You encourage them to be open, honest new citizens, to love and to be just, and to uphold the ethical principles in whatever they are doing. You have never been shy in acknowledging it is a political cause, because “citizenship” depends on the political structure of the city-state, and it is impossible to define “new citizens” without a new political structure. Of course, more than a political cause, it is also a social movement, because no fresh fruit will grow out of a venomous tree, and Sodom will forever be Sodom if its people don’t strive to be new citizens. In Sodom, it is never a question whether the rulers are going to tolerate your ideals. Jehovah wanted to destroy Sodom and Gomorrah, two city-states of evil, with fire and sulfur, and Abraham pleaded with him to spare Sodom if ten just men could be found. However, ten just men could not be found in Sodom except for Lot, nephew of Abraham, and it was eventually destroyed by Jehovah and sunken to the bottom of the Dead Sea. Now, you are again looking for just men in Sodom, and will you be able to find ten of them to spare Sodom from destruction? But before Sodom meets its fate, you have been put on trial. This is destiny, the destiny of being a just man in Sodom. The subjects of Sodom will encircle you, humiliate you, curse you, and throw rocks at you. They will even sing and dance to celebrate. Before the destructive fire and sulfur fell from the sky, they are willing to destroy all hopes, believing they can block Jehovah’s wrath through terror and recklessness. According to the Bible, at the last moment when Sodom was about to meet its ruin, the subjects of the city-state, coming from all directions, encircled the home of Lot and demanded that Lot surrender the two angels, who had arrived in Sodom and staying in Lot’s house, for their pleasure. For you and for us, the idealists, the road is long and arduous. After 30 years of war with the Peloponnesians, Athens lost to Sparta, and its valued democratic tradition was ruined by the thirty oligarchs, but the citizens of Athens were even more upset by Socrates’ new citizens’ movement. Playwright Aristophanes penned the comedy The Clouds to lampoon Socrates as someone who was fanciful, living in the clouds, and whose house was burned to the ground by his own disciples. Anytus, Meletus and Lycos, three leading supporters of democratic movements in Athens, directly accused Socrates of corrupting the youth and of impiety, and the citizens of the Athens, upon hearing Socrates’ defense, wise as it was, still convicted him of their own accord. Zhiyong, is that the inevitable end of an idealist facing the city-state? Of course, Athens and Sodom were different. In Athens, it could be debated whether Socrates and his new citizens’ movement should be tolerated. The debate could go on forever, and the conviction could be regretted. After Socrates was executed, the Athenians indeed repented. Anytus was exiled and then stoned to death. But in Sodom, the destination for those unyielding citizens is dim prison and oblivion by the public. Discussion will be forbidden, for the rulers of Sodom will shut you up, shut me up, and shut everyone up. But I know that you will stand trial as proudly as Socrates. In The Apology, Socrates told the court that he was a gift from God to Athens, and if they killed him, they would not easily find a successor, and that the state, a great and noble steed but tardy in its motions, required the stings of a gadfly like himself to stir it into life. I am God’s gift to you, he told the Athenians. But Athens didn’t understand such pride, let alone Sodom. Therefore, Zhiyong, when you are tried in Sodom, do not defend yourself against the charges they impose on you. Let them charge you, let them torture you. Do as Socrates did, choosing prison and drinking the poison the Athenians handed him, even though Criton bribed off a guard and urged his teacher to run away. They cannot try the pride of an idealist. Socrates said, after being sentenced to death, he would rather be put to death for speaking what he spoke than live by speaking what they spoke. Athenians, in so little time you earned your shame for eternity. So, standing in the seat of the accused, defend only what we want to defend. Zhiyong, even if you face a roomful of barbarous officials, thugs and schemers whose ears are deaf, whose eyes are copper coins and whose minds are arid desert, defend only what you love – the idea of new citizens and its meaning. Sodom can reject, or fail to understand, the words of a just man, but in the future, it will surely understand the judgment of God and the wrath that roars across the sky and brings their ruin. Whether in Sodom or Athens, the fate of idealists will eventually be that of the stepping stones. Though trampled over, I hope our souls, yours and mine, will remain free, unfettered, and peaceful. Guo Yushan (郭玉闪) is the head of the Transition Institute (传知行), an independent think tank in Beijing that advocates political and economic liberalization. It was recently raided and banned after Dr. Xu Zhiyong’s arrest, though it was not in any way associated with Dr. Xu. Mr. Guo is a longtime friend of Dr. Xu, and the two, along with Dr. Teng Biao (滕彪), founded Gong Meng (公盟). Among his many distinctions, Mr. Guo was a key figure in the Free Chen Guangcheng movement during Chen’s house arrest from 2010 to the time he escaped in the spring of 2012. Mr. Guo was the very person who, with a group of friends, took Chen from Shandong after his escape and delivered him, eventually, to the safety of the US Embassy in Beijing.